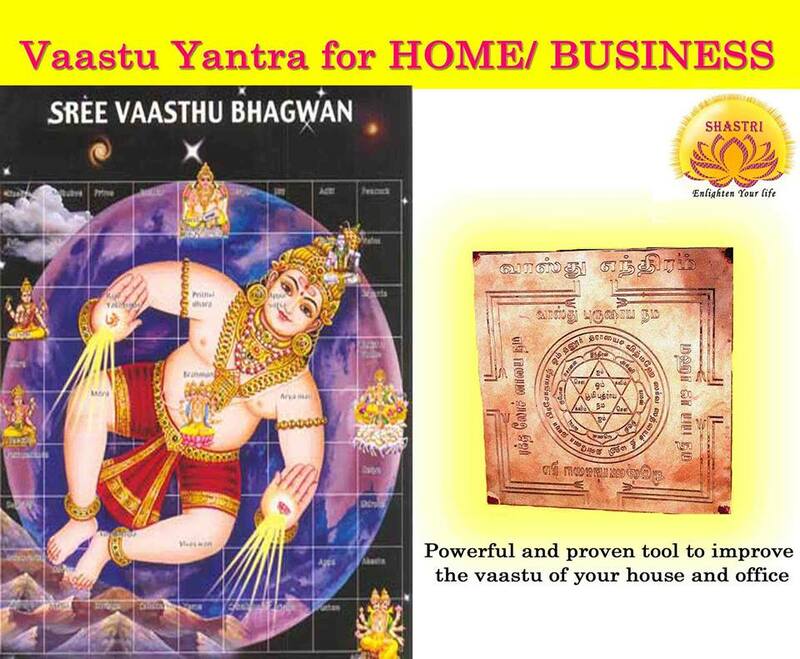 Shastri gives your Kundali (birth chart) in detail along with a big set of charts and detailed predictions. You will appreciate the comprehensiveness of the charts and you will enjoy the detailed analysis of the 12 houses which gives you a deep insight into the various astrological analysis combinations present in your chart. 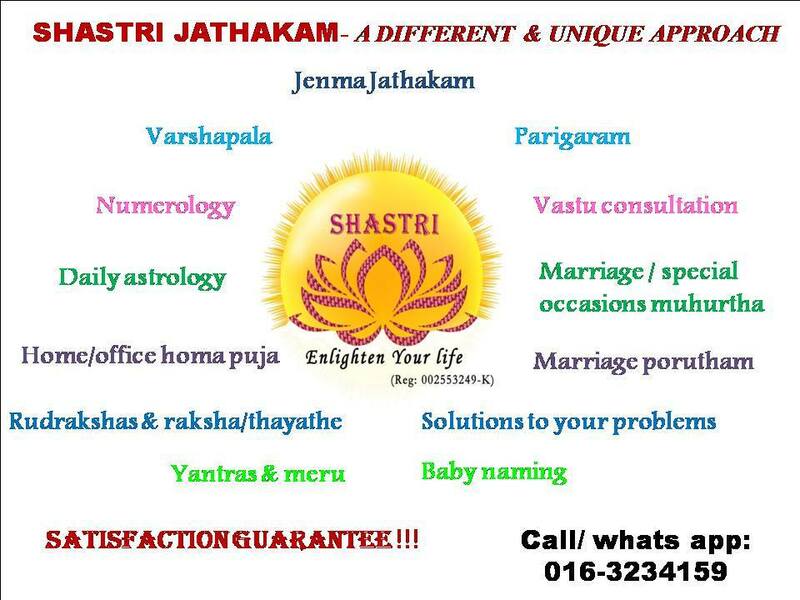 We will provide you detailed analysis of birth chart, planetary yogas, planetary dhrishti (aspect), natal houses (bhava), analysis of birth star (nakshatra) and placement of planets in it and aggregation of time section throughout the life based on nine planets (vimshotari dasa). 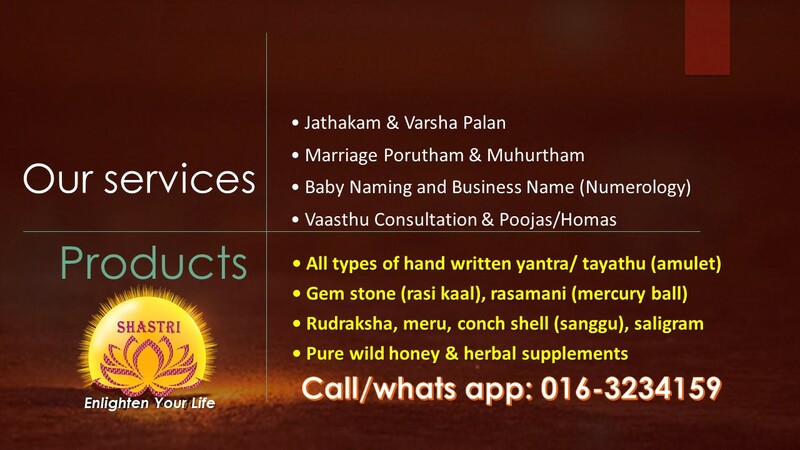 Shastri will make a comparison with vakyam panchangam based on the Surya-siddhantha (south astrology) and will give you the most accurate prediction. Through this jathakam analysis, you will understand the path of your life and the occasions that might occur as life goes on. It can be a guide for you to improve your life by trying to overcome the effects of the malefic planets in your chart. Shastri’s varshaphala or annual horoscope delineates the results based on the solar return. A horoscope is drawn for the movement (time) in a solar year for a when the Sun attains the same longitude as it had at the time of birth. This chart is known as varsha-kundali or the annual chart. In this section, shastri provides you a detailed monthly report for a year that covers wide range of topic including health, profession, financial flow, family relationship and many more. It definitely will be a good reference for you to avoid unnecessary hassle at the unfavorable time. With daily astrology you can lead a life guided by vedic aspect. Daily astrology gives you the complete details of the auspicious and inauspicious times in a day according to vedic astrology. You can use this information to manage your daily life in a optimum level. Through this prediction you can avoid inauspicious time like Rahukaala, Yamaghanta and etc for your important work. 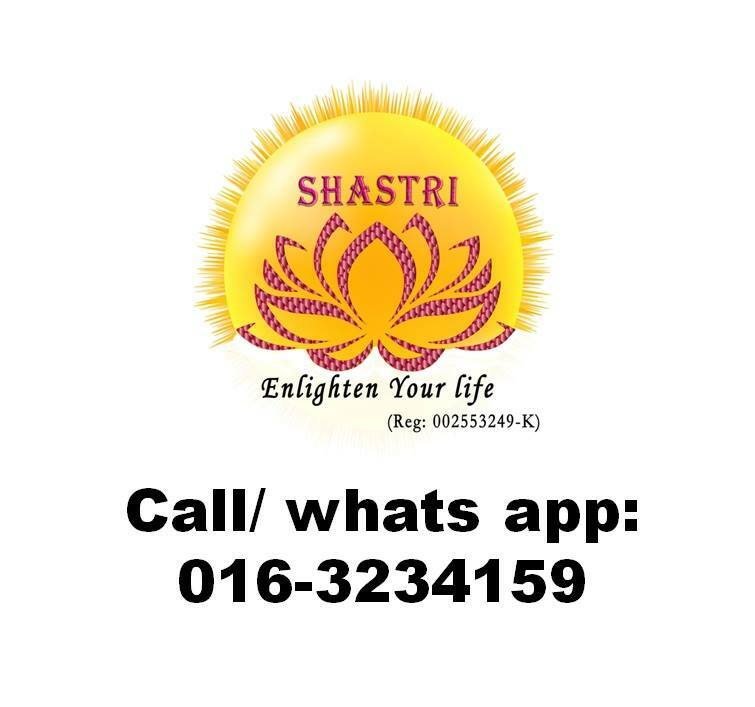 In addition, shastri will provide you the complete astrological analysis of the day for finances, journeys, family and the Rashifala for the day. Based on the jenma jathakam, we will suggest you the minute and very specific parigaram steps to overcome the weak spots in your chart. The remedial measures are unique and adopted from the ancient Vedas which gives the key to solve the obstacles and the bad effects due to the malefic planets present in the chart . 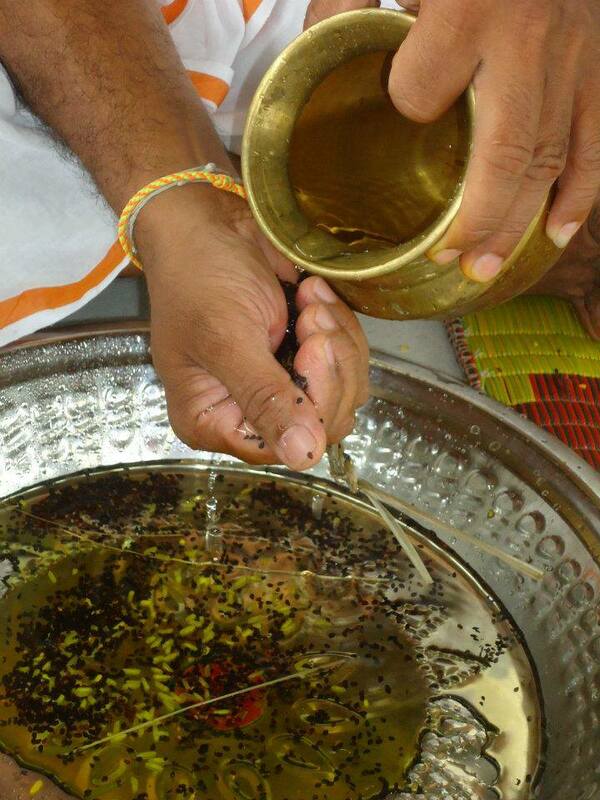 The remedies will include the effective ancient practice that will lead you to betterment. Some of the remedies will be given based on the lines of your palm. 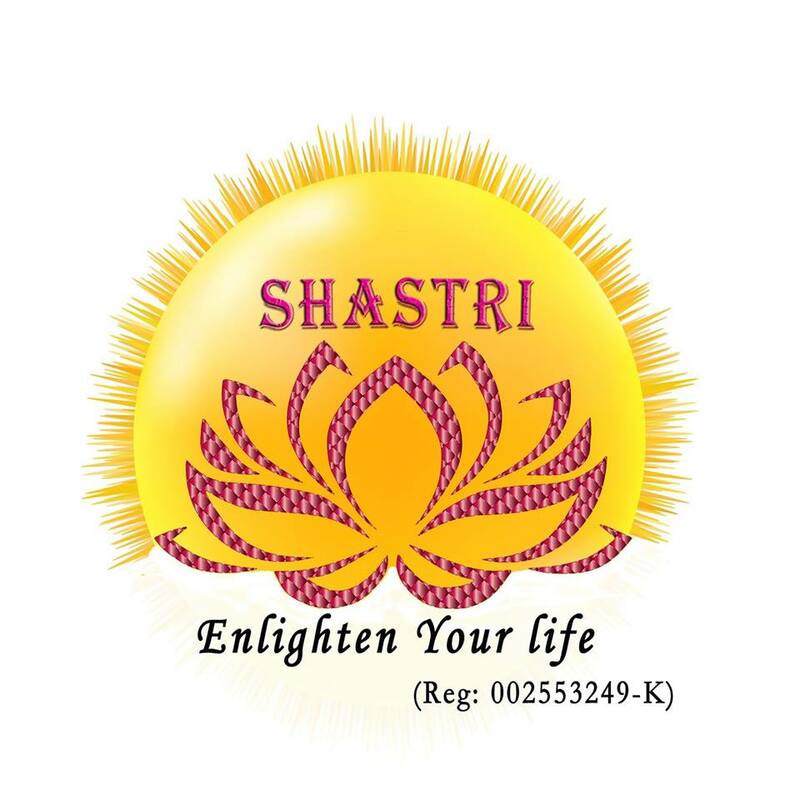 Shastri’s numerology goes beyond the basic name and birth number. It gives you a comprehensive number analysis of almost every number and combination that influences your life. To give you maximum luck, your/ company name number should vibe well with your birth number. We will inform you whether it is suitable for you or not and the steps to be taken to improve your life in all aspects. Numerology report covers all the spheres of life, right from career to education, from personal to professional. You will find insights on everything.